The following article contains mxdwn Movies’ interviews with Guillermo del Toro, Michael Shannon, and Octavia Spencer, obtained during a series of roundtables at ‘The Shape of Water’ press junket in Los Angeles, CA. Guillermo del Toro really loves monsters. 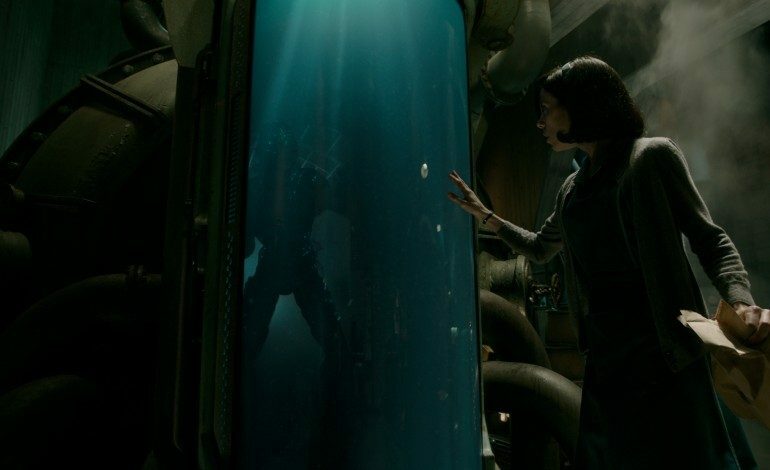 Since his inspired reinvention of the vampire film with Cronos, in 1993, del Toro has consistently depicted some of cinema’s most iconic creatures: Pan’s Labyrinth’s Fauno, Hellboy’s Abe Sapien, Pacific Rim‘s Kaijus, and now the amphibious humanoid in The Shape of Water. 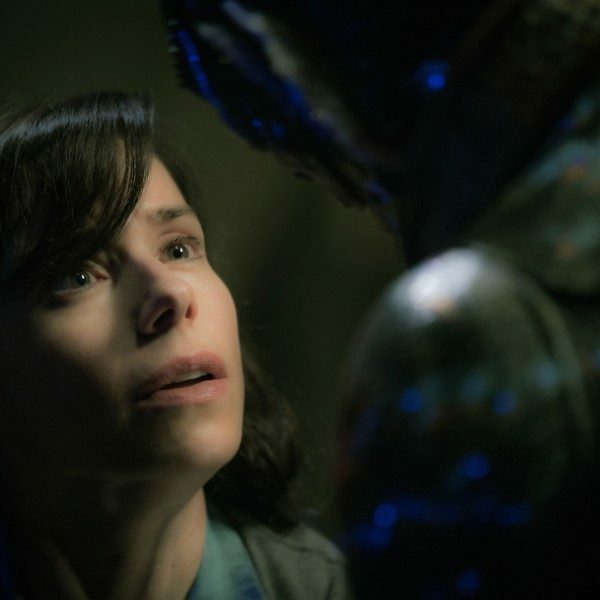 With his eleventh film, set during the Cold War in a shadowy government research facility, del Toro audaciously asks audiences to be swept up in a romance between a mute janitor, Elisa (Sally Hawkins), and a captive gill-man (Doug Jones), a romance that, del Toro believes, is long overdue. Director Jack Arnold’s 1954 masterpiece, The Creature from the Black Lagoon, holds a special place in del Toro’s heart. “When I was six, I saw Julie Adams in her white bathing suit with the creature swimming underneath her, and I felt overwhelmed with art. I felt overwhelmed with emotions I couldn’t explain. I thought the movie would end well, and they would end up together – but they didn’t. The images stayed with me. 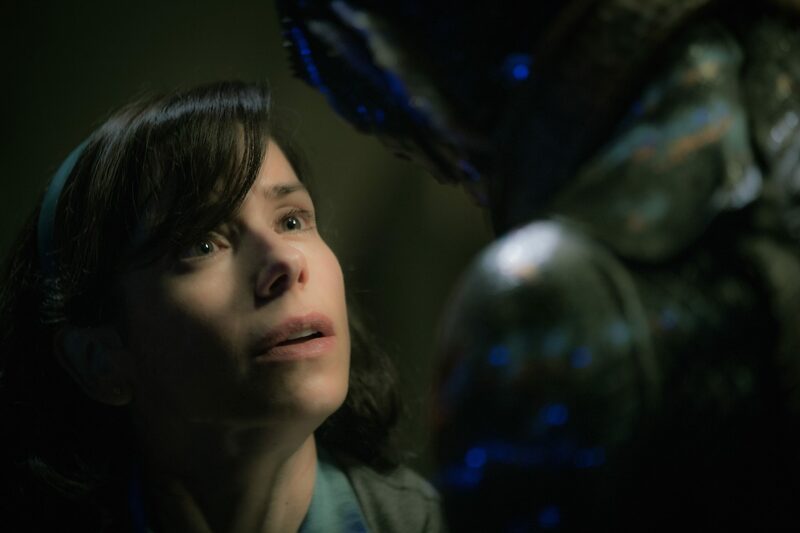 It stayed for decades, until 2011,” which is the year del Toro began to write the screenplay for The Shape of Water, his most personal film to date. 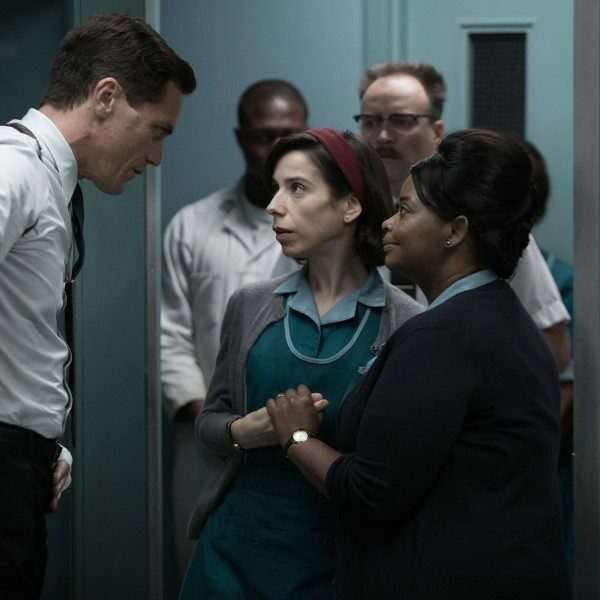 Fortunately, del Toro has assembled an unparalleled cast: Hawkins (Blue Jasmine); del Toro’s longtime collaborator, Jones; Michael Shannon (Nocturnal Animals); Richard Jenkins, in a role originally written for John Hurt; Michael Stuhlbarg (A Serious Man), and Octavia Spencer (Hidden Figures). 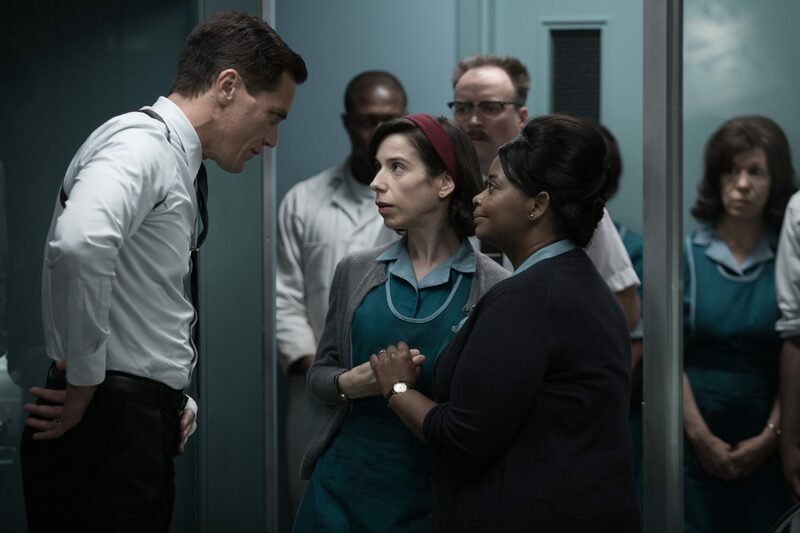 (From L-R) Michael Shannon, Sally Hawkins and Octavia Spencer. Stuhlbarg, who co-starred alongside Shannon on Boardwalk Empire, notes Shannon’s dedication. “I’ve admired Michael forever. Watching him work with Guillermo was one of the highlights of this experience because I really got to see an artist protecting his own character in a way I’ve rarely ever seen before.” Shannon’s Strickland is not a stereotypical mustache-twirling villain, but a troubled man with “a lot of noise in his head,” as Shannon puts it. Stuhlbarg’s Mr. Hottstetler, on the other hand, is a government scientist and Russian spie who defies expectations: he wants to preserve the creature, not vivisect it. Sally Hawkins and Doug Jones. The creature design is truly a sight to behold. “He’s really beautiful, and when you first see him, he’s really scary. It’s hard to do both,” says Jenkins, recalling when he first saw the screen test of Jones in the suit. The Shape of Water splashes into theaters on December 7.